Do you afraid of such blind spot while driving? Looking for a solution to eliminate such blind spots? The SPOTTER Wide Angle Mirror for Cars is very useful product to drive confidently on highways and on city roads. 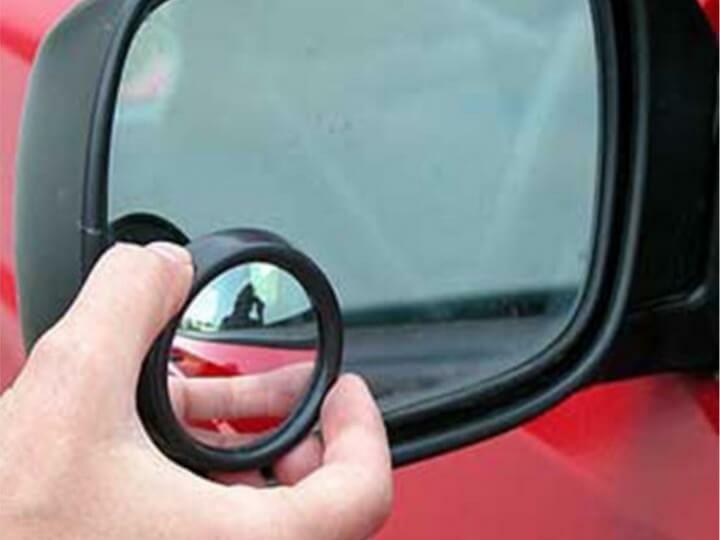 It is extremely easy to install, place this round mirror on the bottom outside corner of side mirror of your car. It only takes a split-second lapse of concentration to change lanes on a highway and pull straight into the path of another vehicle. You might think it would be impossible to miss something as big as a car creeping up from behind, but blind spots catch out even to the most careful drivers. You might collide with a vehicle even though you checked in the side mirror before changing the lane. The vehicular blind spot exists in the space between the driver’s peripheral vision and the area reflected in the rear-side view mirrors. This type of blind spot can swallow up entire vehicles, which is why it’s so dangerous to change lanes without looking to the left or right. 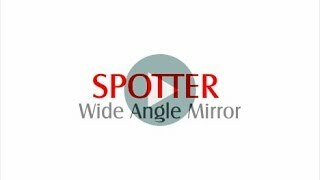 The SPOTTER Wide Angle Mirror for Cars aims to cover the parts your standard side mirrors miss, giving you a far greater view of what’s going on behind your car. This is very much useful while changing lanes, while overtaking, taking turns or towing another vehicle behind yours. It gives a very clear view and the largest sight of the road behind. It is easy to position it to eliminate blind spots. Convex SPOTTER: It shows you the blind view of, behind, which generally misses in your ordinary side view mirror. With this mirror, you can easily spot a vehicle approaching from behind from a far distance on the highways. 360 ° Adjustable: Due to flexible rotation, you can adjust it as per your need to take proper judgment. Parking Assist: While parking, it gives a perfect view of the backside and the floor, so you can able to park it in a perfect place. Cover Side Areas: You can easily view wide side areas and can spot a vehicle approaching, to avoid any mishap. Helps Arthritis Patients: If you have arthritis or neck related problem, this mirror is perfect for a relaxed driving. With this mirror, you do not need to turn back or move your neck extreme left-right to check vehicle approaching from the back. 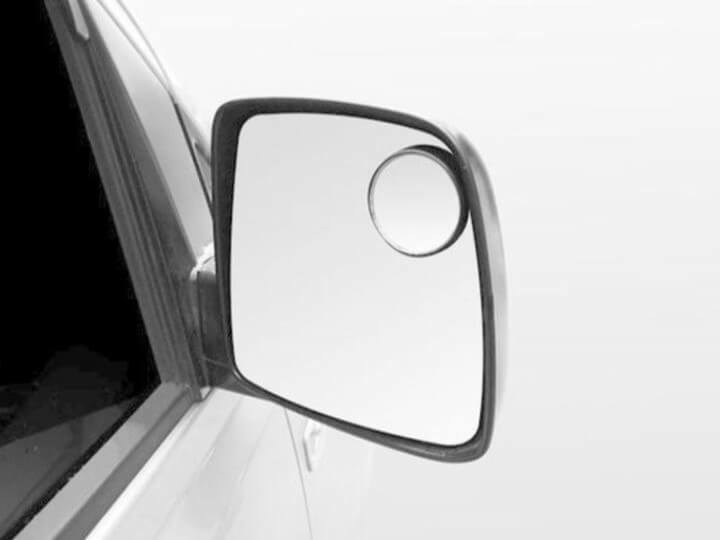 Easy to Install: It is easy to install in your existing side mirror with 3M tape. 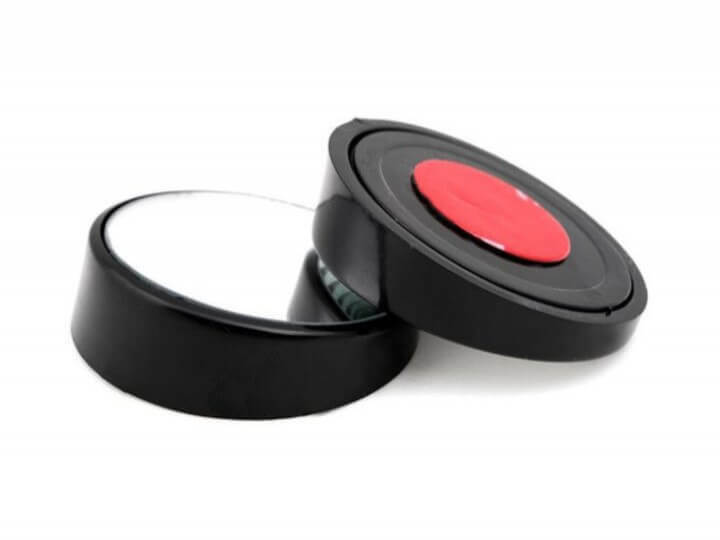 This round wide angle Convex & Anti-Glare mirror provides Wide angle viewing. Easily mounts to original factory mirror with the 3M tape. 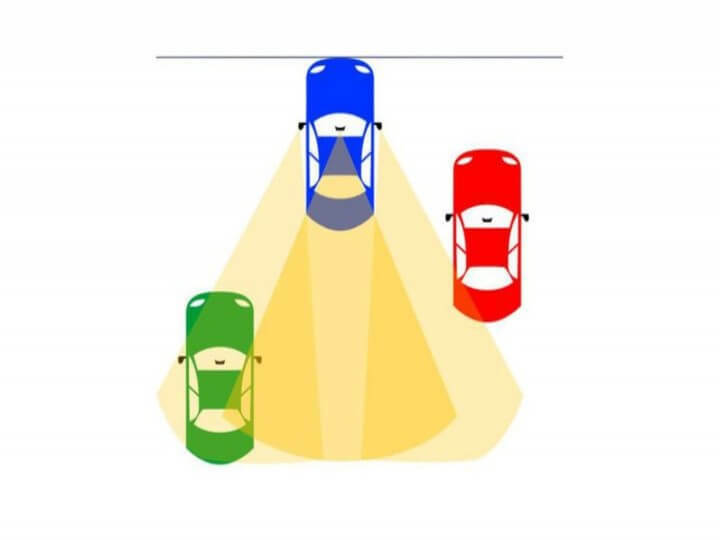 Reduces blind spots and increases safety when you are passing or changing lanes. Optimal placement is on the bottom outside corner of the driver or passenger side mirror. But you can place it in any position of your preference for blind spot reduction. Universal – Fits in most cars. The SPOTTER Wide Angle Mirror for Cars is very useful product to drive confidently on highways and on city roads. 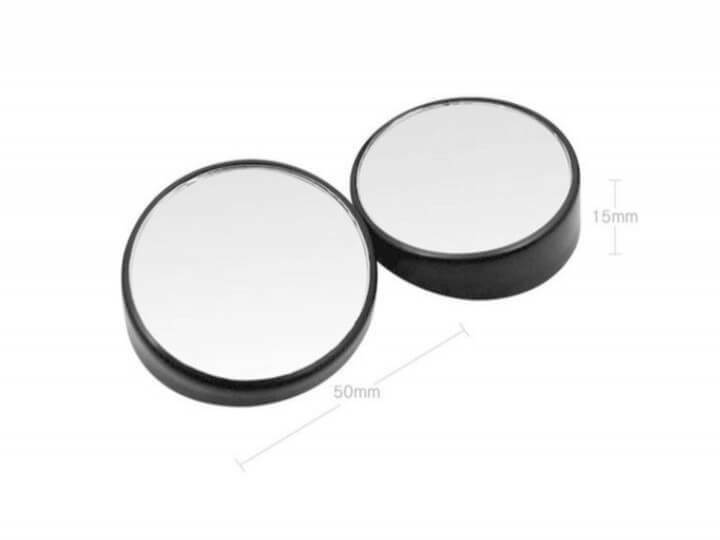 It is extremely easy to install, place this round mirror on the bottom outside corner of side mirror of your car and stick it with 3M tape provided with the product. You can position it as per your preferences to avoid blind spots. I visited your Roger store and bought blind spot mirror very good product and very kind and humble executive love to visit your store again. Now thinking to buy alcohol free perfume for my car will visit again soon. Feeling very easy to relased belt with this extension belt and for best vision for car rear view spotter is best for driver to see clear total rear view Thanks to roger for this products.i like my car more best with this products which are really needed in car for safety purposes.